‘We regret to announce the death of My James Pulham (the head of the well-known firm of Pulham and Son) terracotta manufacturers and rock workers, of Finsbury Square and Broxbourne, which took place, after about a week’s illness, on the 11th inst at Tottenham, where he had resided for the last fifteen years. The late Mr Pulham was born in Woodbridge, Suffolk, in 1820, and commenced his business in Tottenham, and afterwards moved it to Hoddesdon, and subsequently to Broxbourne, where it has been carried on for the last 45 years. 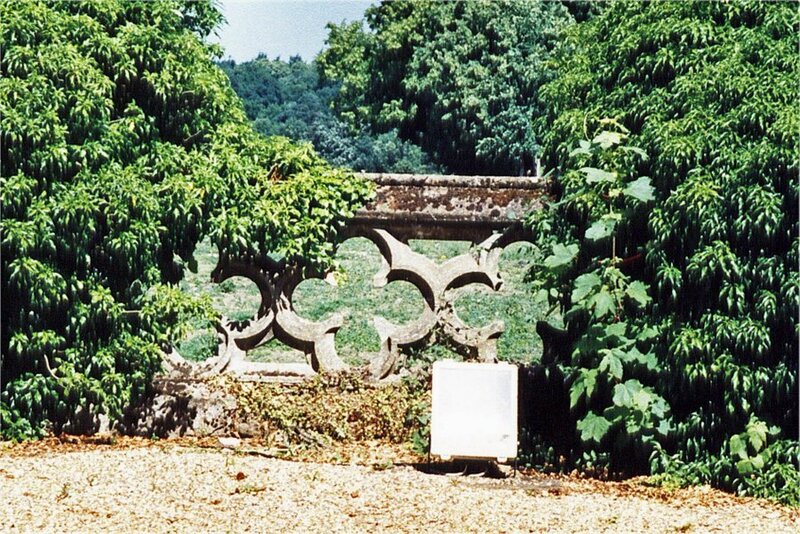 It is rather strange that the firm’s work at Knebworth House should have been highlighted in this obituary, because it was actually one of their smaller commissions, but it is nevertheless of sufficient interest to qualify as a Site of The Month. Knebworth House has been the home of the Lytton family since the 15th century, and it had been subjected to many modifications and developments as each successive generation imposed their own personalities on those of their ancestors. Sir Edward Bulwer-Lytton inherited the estate in 1843,[i] and, in 1846, he invited James 2 to tender for some work that included the construction of some balustrading around the terrace. It is perhaps worth pointing out here that, at the time, James 2 was still only 26 years old; had only just started his new business in Station Road, Broxbourne, and that he did not bring James 3 into the business to form the firm of James Pulham and Son until 19 years later, in 1865. The price quoted by James 2 was apparently the highest submitted, but Lord Lytton’s Agent nevertheless offered him the work, provided that this price could be reduced. James 2 declined this suggestion on the basis that the best work should be priced properly, and he was not prepared to work to a sub-standard specification. 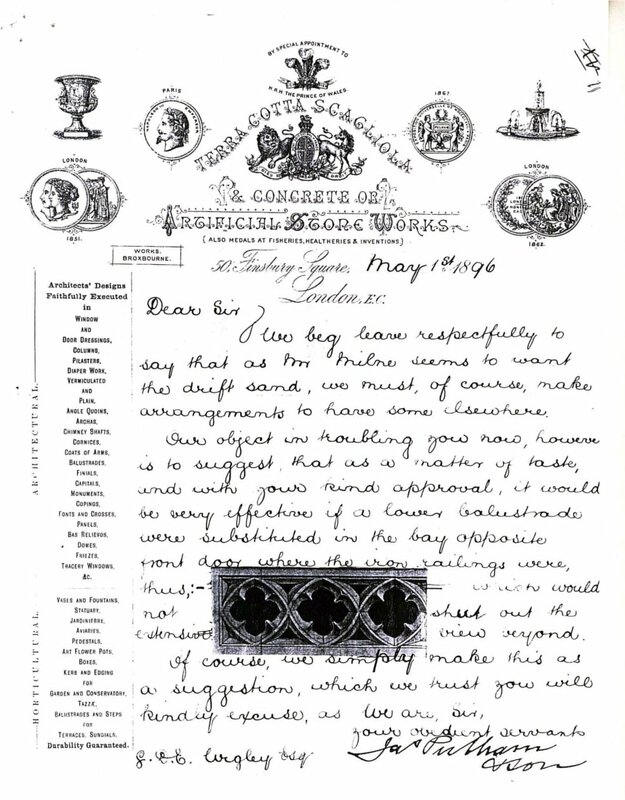 A copy of this letter is reproduced in Fig 1, with an illustration of the balustrade pattern affixed. This suggestion was accepted and the balustrade was duly erected, as can be confirmed from the photographs – Fig 2 – that I took during my visit in 2004. 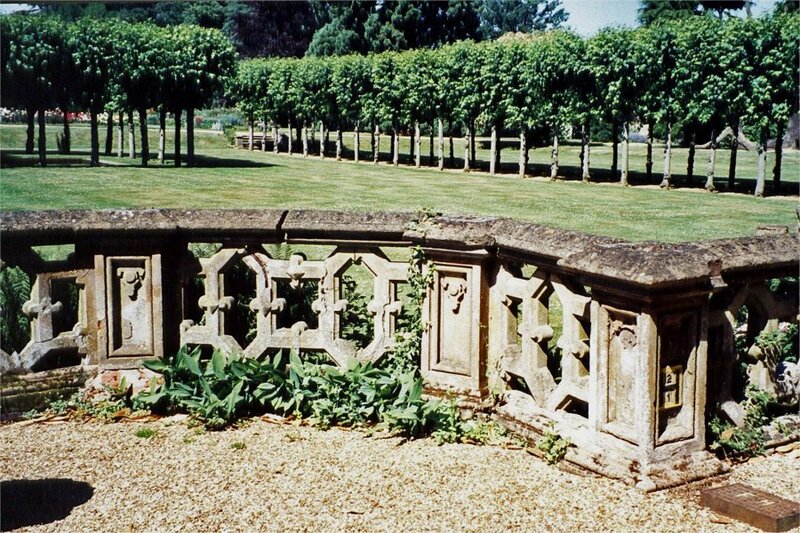 Posted on November 1, 2013 June 4, 2016 by Claude HitchingPosted in Sites Month 2Tagged . . James Pulham and Son, balustrade, Knebworth House, Sir Edward Bulwer-Lytton.